"Shoptalk With J And Dame"
Sponsored Ad: The Infatuation http://theinfatuation.com Vote "LABL Podcast" by 12/8 as "Best Internet Outlet" for the 2019 UHHA http://undergroundhiphopawards.com Website: http://leadandbelegendary.net Topics in this episode: + What DDT is up to at the Mix Factory + Is Mix Factory signing artists? + What an actual A&R is supposed to do + Was Big Sean the last Rap Artist who had true artist development? + The purpose of industry plants + Major record labels buying Spotify shares + The upcoming 2019 Detroit, Underground Hip Hop Awards + Is oversaturation in music coming from fans demanding or supply overload by the Artists? + Songwriting workshops Listen to The LABL Podcast also on Spotify, Apple Podcasts/iTunes, Stitcher, Google Podcasts, and more. In this quick episode, Nametag Alexander prepares us for “LABL Vol. 2” Mixta(EP), a project, done in the format of mixtape, but at EP length. There’s a link to Vol.1 of the series, in the description. He also covers how “The Ella Joint” came about produced by JR Swiftz because of Instagram. The link to that song is in the description also. Spotify playlist of Nametag’s music mentioned in episode is posted below. Nametag Spotify Playlist https://open.spotify.com/user/itsnametag/playlist/51b5XYguDXvnqkxbutZ7At?si=nK1mrO3bS_-IMmrYdcrh6A “LABL: The Mixta(EP)” Vol. 1 https://leadandbelegendary.bandcamp.com/album/labl-the-mixta-ep “The Ella Joint” https://soundcloud.com/nametag/the-ella-joint-prod-by-jr-swiftz Subscribe and listen to “The LABL Podcast” on Apple Podcasts, Spotify, Stitcher, Google Play, and more. Intro music: “Let Me Live” prod. 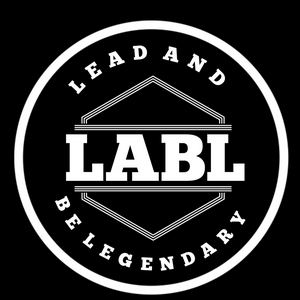 by @_Nameless LABL Website: leadandbelegendary.net Search Nametag Alexander across all social media platforms. "Things Happen, Things Get Done"
It only made sense to build with Detroit's own Beezy from your Dead End Hip Hop. In this episode, we talk about Beezy being a beatmaker, podcaster, and of course 1/4 of the "Dead End Hip Hop" crew. Listen and share. http://leadandbelegendary.net @Beezy430 all across social media Dead End Hip Hop on Youtube https://www.youtube.com/user/deadendhiphop Beezy's Youtube channel https://www.youtube.com/channel/UCUOzfE_yQA-OwOGpfOAbxPw Intro produced by @NamelessDesigns83 Outro "Own Lane" snippet from @Nametag prod. by @BlackBethoven (feat. @IAmMahd) available June 20th. Our host had a chance to talk to Detroit Emcee turned Photographer/Videographer, Miz Korona. She opened up about what made her make the transition from music to getting behind the camera instead to form her brand Trigger Finger Visuals, and more. http://leadandbelegendary.net Facebook: Miz Korona & Trigger Finger Visuals Twitter: @MizKorona Instagram: @MizKorona & @TriggerFingerVisuals Stream "Climb" by Nametag Alexander x Black Bethoven https://open.spotify.com/track/7aiGjkF2jcoxxOdjZNxczq Download The College Of Hip Hop app from the Google Play x App Store. 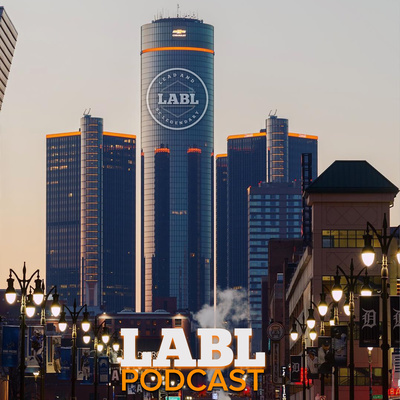 In this episode, Nametag Alexander holds a phone conversation with Detroit wordsmith, Ty Farris. They discuss Ty's "Room 39" album produced by Portland's own, Trox and the meaning behind it. Other topics include, what influenced Ty to become an emcee, his connection to Proof (R.I.P), reasons behind starting up Skrilla Gorillas, and his views on the current state of battle rap. http://www.tyfarris.com @TyFarris1 on Twitter @TyFarris on Instagram Ty Farris on Facebook "Room 39" on iTunes https://itunes.apple.com/us/album/room-39/id1196541519 After a year of so of tweaking and recording Detroit's Ty Farris (@tyfarris1) & Portland's very own Trox (@iamtrox) on the beats finally release their joint album Room 39. It's 12 songs of intricate picture painting over some soulful yet dirty beats. Songs like "Where I Live" and "Product Of My....." is the backdrop to the feeling of the album. Showing versatility on songs like "Middle Of The Mayhem" and "Ghetto Survivor" featuring Scolla.